Review of the Documentary Living on One Dollar. 2013. By Chris Temple, Zach Ingrasci, Sean Leonard, and Ryan Christofferson. Poverty. One dollar a day. Microfinance. Malnutrition. These words are used frequently during conversations about global poverty and international development. But what do these words really mean? What do they look like in real life? College students Zach Ingrasci and Chris Temple set out on a mission to find out for themselves. 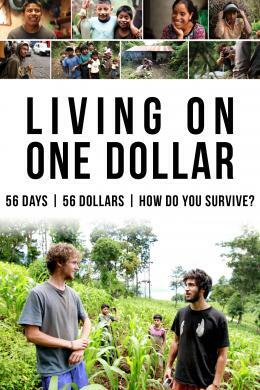 In their documentary Living on One Dollar, Ingrasci and Temple, along with two film students, agree to live on one dollar a day—internationally accepted as the extreme poverty line—in Pena Blañca, Guatemala, a small village where many people work as farm laborers for about a dollar a day. The team documents their attempt to live as authentically as possible on their meager income for 52 days, while also researching how their neighbors survive and plan their finances with so little to work with. What a photographer’s micro lens is to his wide-angle shot, this documentary is to overarching discussions of poverty and development. The producers take us for a close, intimate look at how poverty plays out in the lives of real people. Malnutrition, lack of money for education and health care, lack of clean water, and lack of savings in case of disaster: these are the challenges that living on one dollar a day presents. As Temple and Ingrasci embed themselves in village life and make friends, we begin to see these challenges come to life. Inquisitive, friendly, twelve-year-old Chico, has resigned himself, already, to a life as a farm laborer—working long, hard hours for an income that will barely sustain his family in the future. We meet Rosa, who has to defer her dream of attending school because there isn’t enough money for school fees. Such stories abound, but the film presents reasons to hope. The students explore how gaining access to credit and a savings plan via microfinance banks can aid families in earning more income. Rosa utilizes this type of system and is able to pay her school fees so she may continue to study. Additionally, Temple and Ingrasci stumble upon a unique way of communal savings that their neighbors utilize, in which each member in turn benefits from the collective savings, which is substantially more than each would be able to save alone. This is one of the more ingenious ways of survival Temple and Ingrasci discover but not the only example. Along with ingenuity, they find warmth, generosity, curiosity, hardship, misery—hard lives led by hardened, yet generous people. They also discover that living on one dollar a day is something they were not prepared for, nor is it a lifestyle they would like to continue. But the point of their experiment is clear: life at this income level is hard and dangerous. Ultimately, Living on One Dollar asks us to imagine what it would be like to not have enough food, to not have access to health care when ill, and to not have the money to send a child to school. The perspective and the individual stories the viewer experience are what make Living on One Dollar an educational and moving documentary. Review of Finding Sayun [不一樣的月光] Directed by Chen Chieh-yao [陳潔瑤] Taiwan, 2011. Good story-tellers from any culture tell stories through appealing to the emotions of others. Whether it is through humor, tragedy, or ever-lasting love, they portray a story through these strong emotions. With adding in emotion to the story, the story is often dramatized to attract the attention of the viewer. In the Taiwanese film “Finding Sayun”, a range of emotions are used to connect the viewer to the story. We see emotions from teenage love and rejection, loss of a family member, and the humor of the young. It is through these emotions that people, from any point on the globe, can connect to one another. The film starts with a film crew accidentally capturing the death of a Taiwanese man falling off a car over a bridge. This immediately captures the attention of the viewer. The group filming decided to show the film to the man’s family and attend the funeral. Despite this man and his family not being the main subject of the film, we already connect emotionally to the family and the film. Continuing on their journey, the group of filmmakers follows the lives of a few aborigine families in a small village in Taiwan. 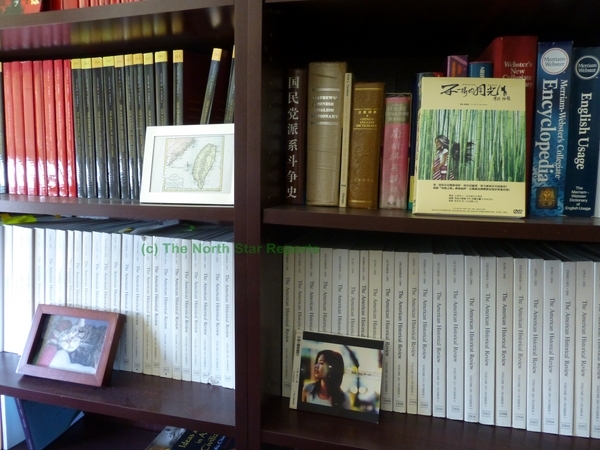 They mostly follow the teenagers of the village so the viewer can then connect with the underlying theme of Finding Sayun and understanding her as a Taiwanese teenager. Sayun was the most beautiful girl in her class who tragically fell to her death in a stream while carrying her Japanese teacher’s belongings during the setting of World War II, when Japan still occupied Taiwan. How accurate this story is, is hard to determine. The story comes from the grandfather of one of the main characters who was a classmate of Sayun. It is hard not to believe the elderly man’s story of Sayun because of his affection toward the young girl, but at the same time, stories are often exaggerated. The old man changed his identification of Sayun throughout the film which does not make him a completely reliable source. The only other criticism of this fictional film is that an idea or phrase may be misinterpreted due to the indirect translation to English subtitles. Fictional films are often times criticized when used in K-12 classrooms: for example, fictional films are not always accurate, therefore they may be considered a waste of valuable class time. As a future K-12 teacher, I do see learning opportunities in using fictional films. For example, students will be more engaged in the film if it is entertaining. If the film has characteristics like humor or teenage love, students will be more inclined to pay attention and learn the information being presented in this more creative approach. Students may actually learn more from a fictional film than from a non-fictional documentary simply due to the fact that they will pay attention to it more. Students will become immersed in the plot, characters, and setting. Since schools cannot bring their students to any place on the planet, film is a way to bring the world to the classroom. This may sound cliché, but after viewing Finding Sayun, I have a deeper understanding of not only Taiwanese aborigines but also the physically demanding landscape of the island. So once the students connect to the story, they will be able to use critical thinking skills to determine fact from fiction. Critical thinking skills are one of the most important life skills to have and it is also difficult to teach. Through fictional films, students will learn how to better use critical thinking skills to identify conflict, biases, and make inferences about the film. In a historical fiction film, students will consider the different types of interpretations of history. Studying different interpretations of history will allow students to reflect on their own role in history and the world. The scenes throughout the film consist of clay figurines placed into physical land features that include the presence of natural elements like water, rain, trees, and fields. The clay figurines are used as the actors in the film; I cannot determine if they are used to help lessen the horror story or if they actually heighten it. The film almost feels like it could be viewed by young children, yet it is dark enough for a mature audience. It was very imaginative on the director’s part to take an existing account of the horrific events that took place and making it more like fiction with the use of clay. The artistic components of the film are stimulating, particularly the use of contrast. Many contrasts were seen all through the film: most notably, the contrast of fear and the hope-filled human heart were skillfully blended throughout the film. The main character’s yellow and red polka-dotted pink shirt, which represents his youthfulness, makes him stand out as the main character against the crowd of black shrouds. The contrast between life and death is represented in colors. Those cloaked in black were already dead, whereas the main character survived. The way in which the director contrasts the reality of the physical environment against the subtlety of the clay medium is especially noteworthy. One scene depicting fishing and rain stands out. After a rainstorm, the clay model figurines are drenched, dripping with real water. The ponds in which the clay figurines cast their reel have real fish swimming in them. In this way, perhaps, the director wants to remind the audience that the story being told is not merely a work of fiction, but reality. Another significant scene contrasts the clay scenarios to actual footage being played in the film. In the clay hospital scenes, showing where people at the labor camps went to die, the trauma felt dimmed through the use of clay. However, the next scene uses actual footage of medical experimentation that the Khmer Rouge conducted on rats. The same extremely traumatic experiments were also used to torture people at the S21 extermination center. The meditative sounds of flutes and chimes used to accompany the main character’s flashbacks to his pre-war youth makes for a nostalgic experience. The sounds are reminiscent of classic Khmer music, creating an element of remembrance while the past was being erased. This stands in stark contrast to the pop music I heard during my more recent time in Cambodia. The music from the film signifies its time and historical focus well, and given my personal experiences in Cambodia, it is interesting to note how the sound has changed from pre-war to post-war. In having seen and frequented the places the director takes us in the film, including the locations of atrocities which took place not long ago, I can’t help but wonder what his intent was in creating such a film. Was it more for personal healing and reconciliation, seeing that he’d lost his entire family to the Khmer Rouge? Or was he speaking to a particular audience, as the last line of the film declares: “This missing picture I now hand over to you so that it never sees to seek us out.” By saying this, does he want to pass the message along to someone in particular? 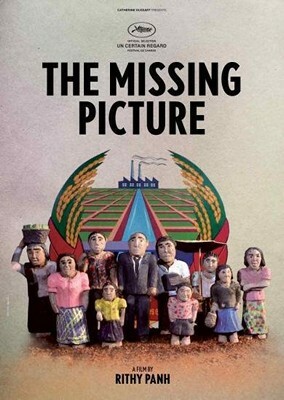 Intriguingly, The Missing Picture was submitted to be nominated for an Academy Award in the U.S. this year. Was the director trying to appeal to the West in doing so? There were specific scenes that speak to an international audience. One particular scene in the film, which takes place between the start of Pol Pot’s seizing power and the sending of thousands of citizens to labor camps, involves a storyteller telling a tale. The story recounts a Khmer family gathered around a television set watching the U.S. space shuttle rocket launch into space, thus marking history with the first person to land on the moon. The storyteller was later executed for telling that tale of inspiration. There was also a scene that talked about the Americans dropping bombs on Cambodian soil, which sparked the poor majority to join “the revolution” under false information. Is it meant to imply that the U.S. in some way responsible for what happened? What is the sentiment such scenes are intended to evoke? One scene in particular resonated with me. It depicts starving Khmer people working in labor camps to fill sacks of rice, not to feed themselves, but to feed the “revolutionary” leaders and to ship the rice abroad. Was that rice being shipped to the U.S.? Did the U.S. have any idea of what was occurring at the time a world away? Or were we left in the dark? Such scenes led me to believe that the director included them for a reason: I believe that they speak to a particular audience, perhaps to an international audience. The additional fact that the film is narrated in English reinforces my conclusion. Was the medium of film used to provoke interest in the topic, as is often done with pop culture? If the director is targeting a certain audience, why is he doing so? For the purpose of looking towards the future? The ending leaves a heavy brick of responsibility on the viewer’s heart by stating he wants to hand it over to “you” without explaining the purpose. To learn from what happened? To prevent such tragedy from happening again? Or was the film meant to bridge the gap between the older Khmer generation and the youth? Perhaps with the use of clay, the director could focus on a young audience. Through clay, he could turn a horrific nightmare of a time into something comprehensible for them. Maybe more than recognition from the West, he wanted the message to reach the youth. Without a doubt, the war has completely changed and reshaped the country, leaving major impacts for the future. The question is what the people of Cambodia will choose to do with them. Is that why Rithy directs our attention to this? Rather than being an isolated chapter of the past, he draws out the ways in which events are connected. Perhaps his overall intent in sharing this film is for everyone to do their part to ensure that history does not repeat itself.